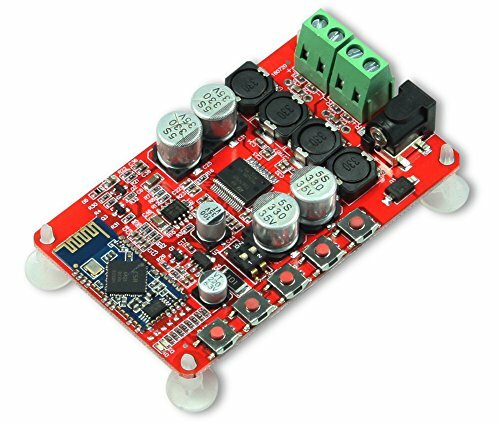 The TDA7492P stereo amplifier module is a 25W+25W dual BTL class-D audio amplifier which has built in Bluetooth 4.0 audio receiver. User can connect to iPhone or Android smart phones and playback the music over the Bluetooth. This amplifier module is easy to use for various DIY purpose. HiFi quality and Bluetooth 4.0, super compatibility, easy connection. DIP switches for different amplifier gain settings. Build-in dual channel stereo TDA7492P amplifier chip with optimized design and circuit layout.